Kara Lily Hayworth’s mannerisms, feisty nature and outstanding voice was captivating the whole way through. 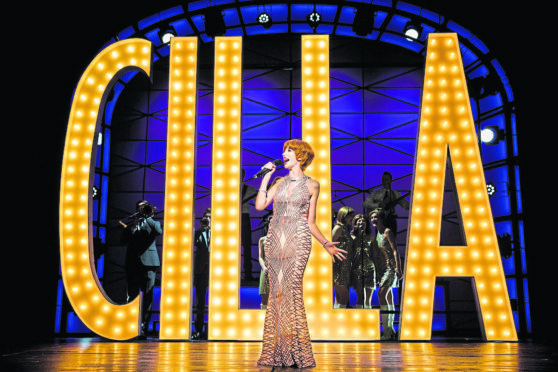 If you’re looking for a lorra, lorra laughs and a few surprise surprises, you’d best head down to HM Theatre this week to catch the hit musical Cilla. But be warned, the must-see stage show also comes with a few teary moments too, so bring your hankies. Based on the mini television drama series which was broadcast on ITV, the performance takes you on a journey through the early years of the life of Cilla Black and her rise to stardom. Packed full of emotion, flawless vocals and a guest appearance from “The Beatles”, there is little not to like about the adaptation. After a nationwide search for the perfect Precilla White, Kara Lily Hayworth was mesmerising on stage during the two-hour show. Having grown up watching Cilla on screen hosting the likes of Blind Date and Surprise Surprise, it is easy to forget the Liverpool lass started out life as a number one recording artist and UK sweetheart. But the stage show brings you right back to focus on her life before fame and tells the audience a tale of a somewhat shy woman who battles her insecurities with the help of the nearest and dearest in her life, including her parents, her beloved Bobby and her manager Brian Epstein. Hayworth’s mannerisms, feisty nature and outstanding voice was captivating the whole way through. And for the soap fans out there Brian Epstein is played by Corrie favourite and once named Villain of the Year Andrew Lancel. While you sit and watch the bond form between Cilla and her partner Bobby, played by Alexander Patmore, the partnership which shines thought as being the most heartwarming is that between her and Epstein. While the chorus is not the strongest I’ve seen on stage, the main characters do more than make up for it, carrying the performance though both the first and second act. And some of the most enjoyable moments on stage are when you watch Hayworth sing alongside The Beatles, the boys who became her best friends.